This Presentation date is November 8, 2018 at 8:30 - 10:30 local time. 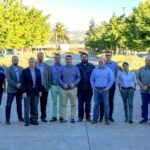 Apstra has been accelerating their technology since the last time they presented at Networking Field Day. Take a look at the awards they have won and their goal of a full automated intent-based network. Apstra AOS is a complex technology that allows for intent-based networking to be made simple. Get a good picture of this architecture through a whiteboard session and discussion. See AOS in action! Watch how to build a full data center deployment from start to finish in record time. Also, learn more about their new EVPN offering and how this technology is going to change networking. Networking is more than just deployment. Operations is a critical aspect of today’s networking stack that needs to be addressed. AOS has far more capabilities than just automation. Learn how analytics can empower Day 2 ops with Apstra. The power of Apstra’s APIs enable compelling integrations with a variety of third-party services. Watch ServiceNow and AOS in harmony with some help from Network to Code. 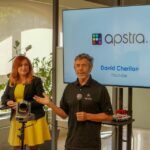 Apstra founder David Cheriton takes a look at Intent-based networking and how future technologies like artificial intelligence and machine learning are driving software to be more involved at all levels of the networking stack.